At the foot of Ben Nevis, in the valley between the mountains, with spectacular views. 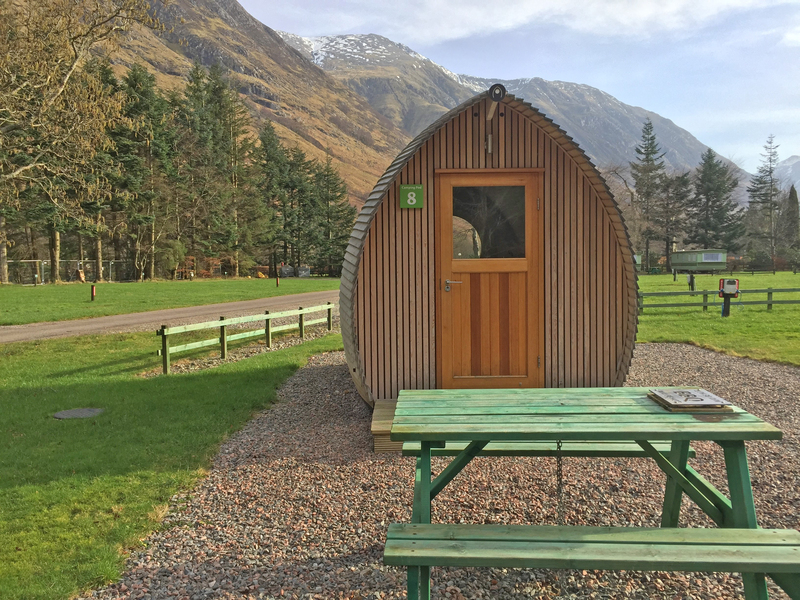 At the foot of Ben Nevis in Scotland, in the valley between the mountains, nestles Glen Nevis Caravan and Camping Park. Being surrounded by mountains, the view is spectacular. It is ideally placed for exploring the surrounding countryside and for dog walking there are innumerable paths from which to choose. For the really fit there is the climb up Ben Nevis that starts just across the road from the site. 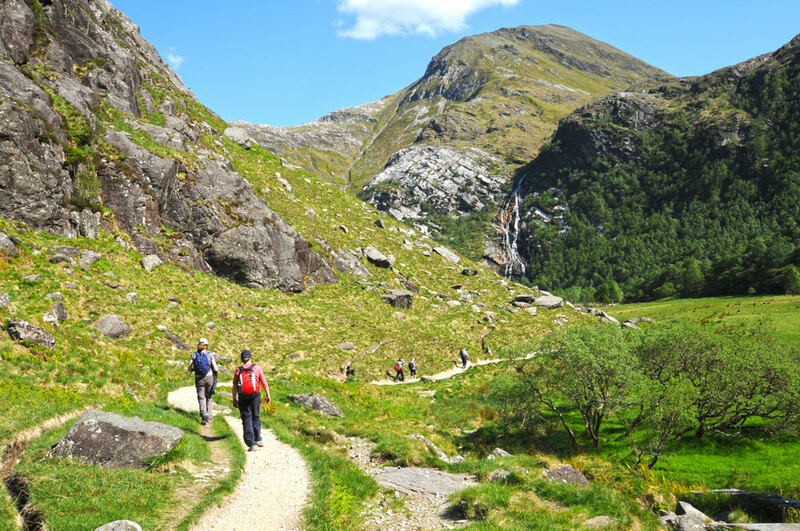 The less strenuous West Highland Way can be found on the opposite side of the site and there are various other paths along the river. In addition there are many interesting places to visit nearby; comprehensive information can be found at the reception. 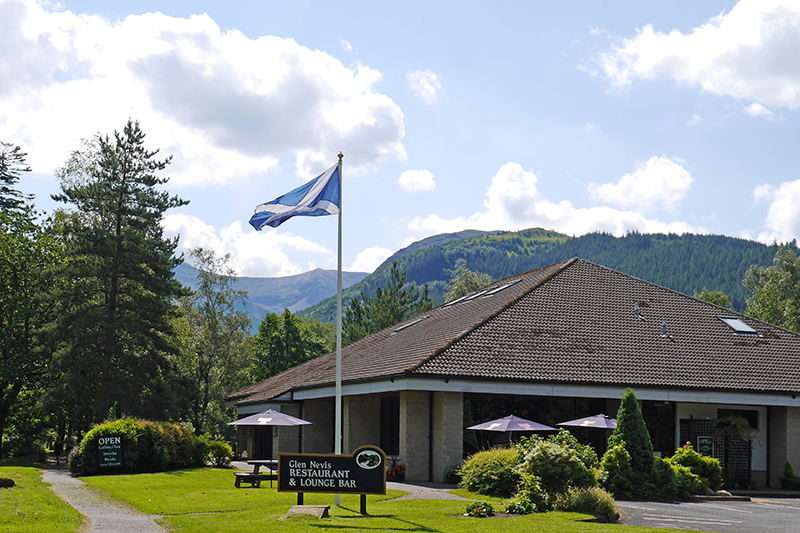 For motorhome owners who prefer to keep their unit on site and choose public transport, the site’s reception office has a timetable of the bus service that runs regularly to Fort William, which stops just outside the entrance. 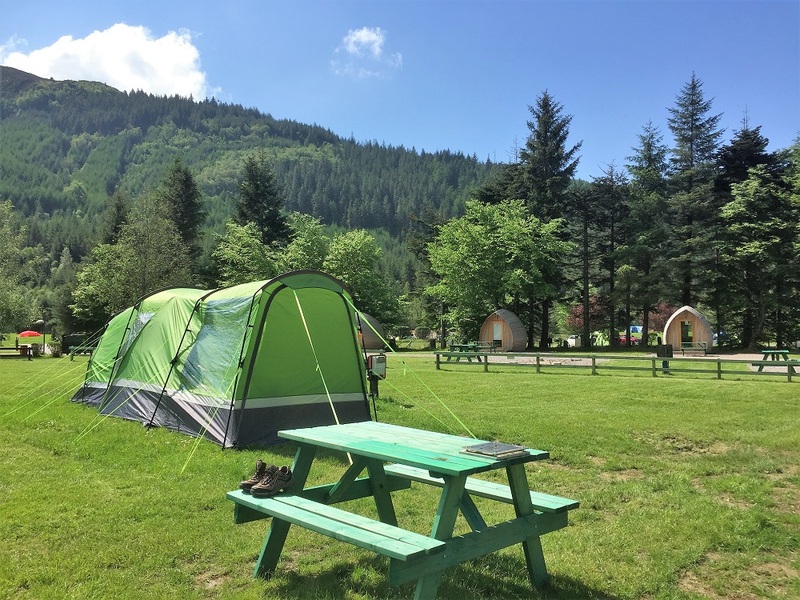 Though it is a large campsite, shrubs cleverly separate it into various areas providing privacy and a peaceful, relaxed atmosphere.